A well developed and evolved insurance sector is a boon for economic development of a country. It provides long-term funds for infrastructure development and concurrently strengthens the risk-taking ability of the country. Insurance is a financial product that is sold on managing unknown risks. However, thanks to aggressive practices and high incentives, over the years insurance sales pitches have gone from pragmatic to perilous. 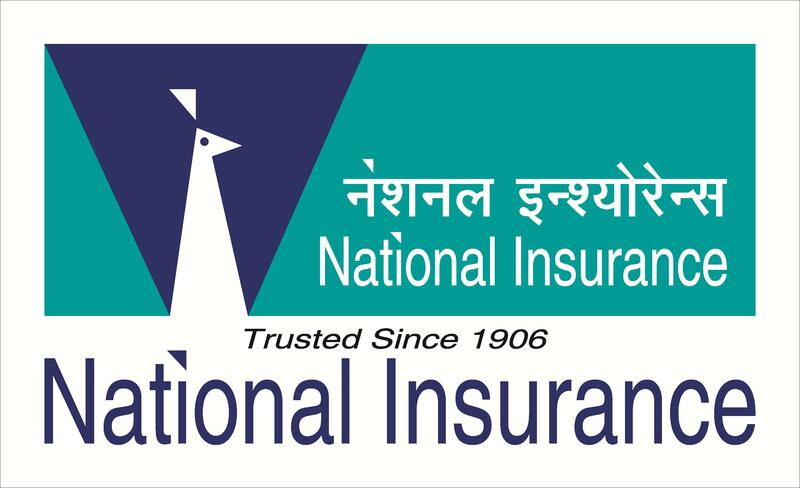 Insurance sector is one among those sectors which have seen great growth since independence. Regulation of insurance business dates back to 1818 with establishment of Oriental Insurance Company. At that time, the subject matters with which insurance sector dealt with were really restricted. Now the spectrum has expanded and various kinds of insurance like ransom insurance, crop insurance, etc have added to the list. This industry has developed gradually from being a nationalized industry to allowing involvement of private players and foreign direct investment. In order to regulate the insurance business, Insurance Regulatory and Development Authority was established. Many insurers make the mistake of only looking internally for opportunities of re-use. Now more than ever, however, insurers can leverage the institutional knowledge of their partners to improve speed to market through business process improvement and a more componentized approach to product lifecycle management. New products, applications and services can often be developed and run more quickly using new methodologies and platforms. To achieve true speed to value, an insurer must take advantage of new technologies within the context of the legacy aspects of their environment that still exist and, quite often, still provide a lot of value. By focusing on the entire product lifecycle, insurers can ensure they’re absolutely committed to understanding their own products through the eyes of the consumer. Though the IRDA Act is a 1999 Act, provisions for penalty are contained in the Insurance Act. 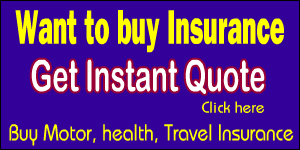 The original Insurance Act is of 1938 and has been amended from time to time. Here, the key provisions are in section 102 of the Act. The Act provides for a penalty up to Rs.5 lakh for each failure. Thus, the quantum seems to be relatively modest when compared with the provisions under the Banking Regulation Act. Unlike the SEBI Act, the Insurance Act does not provide for an adjudicating mechanism, though the regulations relating to various entities like insurers, brokers and agents lay down the procedure for taking disciplinary action for violations. Also, except in some specified cases where there is a provision for an appeal to the central government under section 110H of the Insurance Act, there is no appellate mechanism provided under the Act. Hence, appeals lie before court of law till Securities Appellate Tribunal was set up. Yet one reading of the FSLRC is that almost everything the regulator does, not just the framing of regulation or the process by which decisions are reached but also the exercise of regulatory judgment as well as policy decisions, is to be subject to legal appeal. The development of the insurance industry in India is likely to be critically dependent on the nature and quality of regulation. Overall, the regulatory environment is favorable and takes care that players maintain prudent underwriting standards, and reserve valuation and investment practices. The primary objective for the current regulations is to promote stability and fair play in the market place. The environment surrounding the insurance industry is quickly and drastically changing due to the advancement of climate change and global warming, the emergence of growing industries and advanced technologies, the increase in companies expanding operations overseas, and the diversification of customer needs with changing lifestyles. No person shall take out or renew any policy of insurance in respect of any property in India or any ship or other vessel or aircraft registered in India with an insurer whose principal place of business is outside India save with the prior permission of the Authority. If any person contravenes the provision of sub-section (1), he shall be liable to a penalty which may extend to five crore rupees. The amount of penalty is substantially high. For a lot of other provisions, the penalty for violation or non-compliance has been substantially increased. The Standing Committee had recommended to reduce the penalty but this suggestion has not been incorporated as higher penalties are considered to have more deterrent effect. The amendment act has made Securities Appellate Tribunal (SAT) as the appellate authority to the Insurance Regulatory and Development Authority. The issue which is required to be kept in mind is that the experts sitting at SAT should have sufficient knowledge about insurance sector so that they can deal with the issues in an effective fashion. The process of amending the insurance laws started way back in 2008 with the introduction of Insurance Laws (Amendment) Bill, 2008. The process finally culminated with the passing of Insurance Law (Amendment) Act, 2015. This amendment act has raised the cap on foreign direct investment in insurance sector from 26% to 49% allowing for more capital flow in insurance sector which is a capital intensive industry. In order to make the sector more effective, a lot of procedure from the Insurance Act has been omitted and IRDA is given the authority to formulate regulations for the same. Provision for providing loans and advances to agents has been diluted a little and made less restrictive. By amending Section 45, it was mandated for the insurer to provide for the claim if it is made after three years from the date when the policy became effective. It has also allowed foreign re-insurers with their branches registered with IRDA to do business in Indian Territory. It has substantially increased the penalties as higher penalty has more deterrent effect. In order to provide a better grievance redressal system, Securities Appellate Tribunal has been made the appellate authority to IRDA’s order. According to the researcher, these reforms will boost the insurance sector in India, will lead to effective regulation of the sector and hence, will be beneficial for both insurance companies as well as the customers taking insurance policies. Insurers that strive to delight their customers must migrate from a transactional mentality to a relationship mentality. Despite the substantial competitive threat, many insurance companies seem to be ignoring the opportunity that personalized services can provide. With an objective to provide a forum for resolving disputes and complaints from the aggrieved insured public or their legal heirs against Insurance Companies, the Government of India, in exercise of powers conferred on it u/s 114(1) of Insurance Act, 1938 framed “Redressal of Public Grievances Rules, 1998”, which came into force w.e.f. 11th November, 1998. These Rules aim at resolving complaints relating to the settlement of disputes with Insurance Companies on personal lines of insurance, in a cost effective, efficient and impartial manner. These Rules apply to all the Insurance Companies operating in General Insurance business and Life Insurance business, in Public and Private Sectors. Established under the RPG 1998, the Office of Insurance Ombudsman deals with consumer complaints against Insurers operating in general and life insurance sector. There are 22 offices of Insurance Ombudsman across the country. Regulation 5 of IRDA Regulations for Protection of Policyholders Interests, 2002 which provides for insurers to have in place speedy and effective grievance redressal systems, and in terms of the Authority’s powers and functions as enunciated in Section 14 of IRDA Act 1999, the IRDA has issued certain guidelines pertaining to minimum time-frames and uniform definitions and classifications with respect to grievance redressal by insurance companies. Insurance ombudsmen have recommended a penalty provision against insurers for not complying with the norms related to redressal of public grievances. The Rules for Redress of Public Grievances (RPG) are going to be amended. There should be a reviewing authority in cases of dissatisfaction. And there should be a provision for penalising the insurance companies in case they are not complying with it. The Delhi Office of Insurance Ombudsman received the distinction of first insurance ombudsman office being certified as ISO 9001:2015. An ISO certification was conferred based on quality services, including strong customer focus, motivation, continual improvement and review. Insurance Ombudsman Rules, 2017 has empowered an Insurance Ombudsman to pass an award of and up to Rs. 30 lakh. In June 2011, the Indian government implemented the merger control regime under the Competition Act, 2002 and the Competition Commission of India (Procedure in regard to the transaction of business relating to combinations) Regulations, 2011. While the Competition Commission of India is a fairly young regulator, over the years, the jurisprudence on Indian competition law and the merger control regime has developed substantially. The Act prescribes asset and turnover thresholds and if a transaction crosses any of these thresholds, the parties are required to seek approval of the CCI prior to effecting the transaction. The Act and the Regulations also provide certain exemptions, such as the target test exemption and exemptions based on the nature of the transaction. This update highlights some of the recent orders of the CCI in respect of a failure to notify a transaction. CCI’s recent orders on the failure to notify transactions under the Act show that the CCI is actively scrutinizing M&A transactions reported in the media, but not notified under the Act, to assess whether such transactions require approval. The penalty of INR50 imposed by the CCI in 2016 for failure to notify a transaction is the highest since 2011. With the competition law jurisprudence in India growing every year, the CCI expects deal makers to take the merger control regime and the procedural requirements there under seriously. Provisions pertaining to enforcement of competition law in India (i.e., Sections 3 and 4 of the Competition Act, 2002 (as amended) (Competition Act)) came into effect on 20 May 2009. 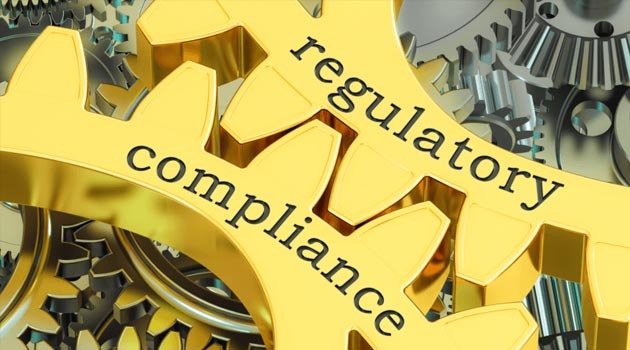 Despite being a relatively young regulator, the Competition Commission of India (CCI) has addressed several significant questions of law and fact. This jurisprudence, in effect, has already brought about a paradigm shift, redefining the way businesses are being carried out in India. Section 48 of the Competition Act provides for potential liability of individuals who were actively or passively involved in the contravention of the Competition Act. In a major relief to four state- run insurers, Competition Appellate Tribunal slashed the Rs 671 crore penalty imposed on them by CCI to a mere Rs 2 crore, saying the burden of fine will be transferred to public as these entities are owned by the government. The Competition Commission, in July 2015, had slapped the penalty on National Insurance, New India Assurance, Oriental Insurance and United India Insurance for cartelisation and indulging in anti-competitive practices. These companies had manipulated the bidding process initiated by the Government of Kerala for selecting insurance service provider for Rashtriya Swasthya Bima Yojna (RSBY). COMPAT agreed that appellants should suffer the penal consequences as law was breached and the legal conclusive presumption is that there was an appreciable adverse effect on competition. It recognised however that the burden of penalty will ultimately be transferred to the public as the appellants are owned by the Government. The appellants who were public sector companies, in their zeal to participate in a Government sponsored Health Insurance Scheme benefiting the poor, ignored prudence and the restraints of the competition law. Such conduct cannot constitute an aggravating circumstance. Reducing the quantum of fine, COMPAT ordered that penalty has to be calculated with reference to the gross premium received by the insurance companies as insurance provider under RSBY scheme and penalty for each of the appellants will be a proportion of their share in such premium. However, CCI had imposed the penalty on the insurance companies based on 2 per cent of the average turnover of the last three financial years. Now, COMPAT has imposed has a penalty of Rs 1.56 crore on United India Insurance, Rs 20 lakh each on New India Assurance and National Insurance and Rs 4 lakh on Oriental Insurance. By way of a December 9 2016 order,(1) the Competition Appellate Tribunal (COMPAT) upheld a Competition Commission of India (CCI) order dated July 10 2015 which found four public sector insurers guilty of bid rigging under Section 27 of the Competition Act, but reduced the penalty from Rs6.7 billion to Rs20 million. This new penalty was calculated based on the relevant turnover of the product in question. COMPAT, confirming the CCI’s decision, held that in terms of the General Insurance Business (Nationalisation) Act 1972, the four companies were created in order to encourage competition and function according to business principles. COMPAT further held that the influence of the Department of Financial Services did not detract from the independent, commercially and economically separate status of the four companies which, as per the General Insurance Business (Nationalisation) Act, were created as independent entities in order to compete with each other in the interest of efficiency. Accordingly, the four insurers were not a single economic entity. 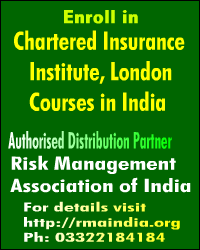 Violation of clause B-2 and clause C-4 of Group Insurance Guidelines No. 015/IRDA/Life/ Circular/ GI/Guidelines/2005 dated 14/07/2005 Penalty of Rs. 5,00,000 and direction to comply with all the relevant regulatory provisions issued in this regard. 2. Charge: i) Gift Card, foreign trips arranged to employee of Corporate Agents through Various Sales campaign ii) Entered service level agreements with Corporate Agents and made payouts. 3. Charge: Contests floated for employees of the brokers and remunerated them with gifts, foreign trips. The amended insurance law provides for a penalty of up to Rs 25 crore for mis-selling or misrepresentation of policies by agents or insurance companies to customers. The Insurance Laws (Amendment) Bill, 2015 has several provisions for levying higher penalties ranging from up to Rs 1 crore to Rs 25 crore for various violations including mis-selling and misrepresentation by agents/ insurance companies. With a “view to serving the interest of the policy holders better”, the period during which a policy can be repudiated on any ground will be confined to three years from the commencement of the policy and no policy would be called in question on any ground after three years. Consumer interest will be better served through provisions like those enabling penalties on intermediaries/insurance companies for misconduct. It also disallows multi-level marketing of insurance products in order to curtail the practice of mis-selling. The amendments provide for an easier process for payment to the nominee of the policy holder, as the insurer would be discharged of its legal liabilities once the payment is made to the nominee. It is now obligatory in the law for insurance companies to underwrite third party motor vehicle insurance as per IRDAI regulations. Rural and social sector obligations for insurers are retained in the amended laws. Insurance sector regulator, IRDAI has been empowered to regulate key aspects of insurance company operations in areas like solvency, investments, expenses and commissions. Now, IRDAI has been empowered to appoint one or more of its officers as ‘investigating officers’ for inspection of the affairs of an insurance agent and to inspect his books, records and documents. The insurers would be responsible for all acts and omissions by its agents, including violations of the code of conduct specified under these guidelines. In such cases, they would be liable to a penalty of up to Rs 1 crore (Rs 10 million). According to the norms, no individual can act as an agent for more than one life insurer, one general insurer, one health insurer and one of each type of monoline insurers. Pursuant to Insurance Law Amendment Bill, IRDAI has incorporated a few amendments in the guidelines on appointment of insurance agents. The IRDAI will get more teeth once the insurance reforms begin to attract more foreign funds in the sector. The regulator, for instance, will have more powers to levy higher penalty, impose a ceiling on expense management, and fix remuneration for agents. These moves will cheer insurance agents. As per the Bill, the manner and amount of remuneration, or reward, to be paid or received by way of commission or otherwise, to an insurance agent or an intermediary, will be decided by the regulator. The Bill has scrapped two Sections — 40 and 40 B — where limits can be prescribed by the IRDAI. There are countries which pay as high as 160% of the first year premium as commission to agents, advocating that it should be left to companies to fix agency commission. Insurance companies are not allowed to repudiate claims after three policy years. The Bill has amended Section 45 to state that no policy can be repudiated for any reason after three years of commencement of risk/date of reinstatement/date of issuance. Some experts have questioned the powers of IRDAI to levy penalties and have said that as per the current wordings of the relevant sections (section 102 to 105C), only courts have the power under the Insurance Act to levy penalties. But no insurer seems to have legally challenged the powers of IRDAI in levying penalties. In any case, this reported infirmity is also sought to be addressed in the Insurance Amendment Bill that proposes adjudicating mechanism in IRDAI is similar to SEBI. With recent reports on levy of deterrent penalties by the IRDAI on insurance companies, it is time to understand the basics of monetary penalty action processes that the Insurance Regulator undertakes. Without fair adjudication and robust appellate mechanisms, levying penalties may not be just. SBI Life’s decision to appeal to the Securities Appellate Tribunal is noteworthy because the order against the company was issued in May 2014. There was no immediate refund as the company had made a representation to the insurance regulator in keeping with the regulatory process. The representation was rejected and the company ordered to pay. However, subsequently the law was amended under the Insurance Amendment Act 2014 which provided for appeals to the Securities Appellate Tribunal against orders of IRDAI. The Indian insurance market is still developing and practices are evolving. It is not possible to have huge penalties like in the West. It is unlikely that companies would appeal for the smaller penalties. Incidentally, there is strong criticism on questioning the regulator’s decision through a Financial Sector Appellate Tribunal since there are three dangers – undermining the very purpose of a regulator by having people without capability, information or experience make judgements. Secondly, the system would invite appeals and risk paralysing the system and lead to loopholes being exploited. Finally, the regulator would lose the healthy respect he enjoys. Regulators do need checks and balances. Actually, IRDAI is also subject to it which happens to be the judiciary. But FSLRC wanted all financial regulators to be brought under an appellate body with domain knowledge. That makes sense. But the sequencing is important because the kind of domain knowledge needed to deal with financial regulators is scarcely available. Moreover, anyone who has followed Supreme Court judgements on key issues should fear overreach.